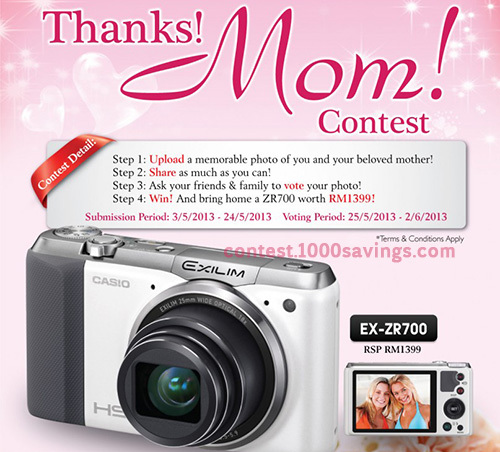 Upload a memorable photo of you and your beloved mother. Ask your friends and families to vote your photo. Visit CASIO Exilim Malaysia Facebook fan page for more details.